If you think director David Lynch’s films are weird then you won’t be surprised to find his first solo foray into music is much the same. Famous for the popular murder mystery series Twin Peaks, and cinematic oddities like The Elephant Man, Eraserhead and Mulholland Drive, Lynch has built a reputation of creating surrealist work that often disturbs, offends or perplexes the viewer. If you’re lucky, all of the above. 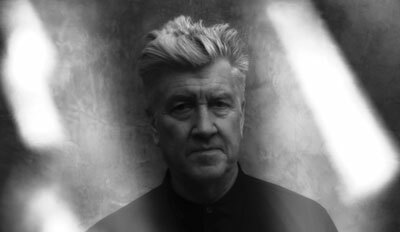 Having long dabbled with music in his films, writing songs and collaborating for decades with the composer Angelo Badalamenti, Lynch is clearly no stranger to the art. Music has always played a central role in his films, setting his scenes against dark and foreboding soundtracks that heighten the suspense-laden tone of his silver screen features. Fans of his films will recall the iconic scene in Mulholland Drive in which Naomi Watts’ and Laura Harring’s characters sob together to a Spanish rendition of Roy Orbison’s “Crying”, and the unforgettable serenade performed by a tiny woman from inside Jack Nance’s radiator in Eraserhead (the song “In Heaven” was later covered by The Pixies). Lynch’s own music, infused with bits and pieces of the scores and soundtracks of his films, is exactly what you might expect it to be. Crazy Clown Time is Lynch’s first full-length album, recorded in his home studio in Los Angeles. Highly experimental and loosely narrative, the record seems like a natural progression for Lynch, feeling much like an extension of his cinematic work. Put together in the same non-linear, “dream logic” arrangement as the narratives in Lost Highway and Mulholland Drive, listeners familiar with the director’s work will find many structural parallels in Crazy Clown Time. Unsettling, dark and intense, the album is a strange, bluesy journey that twists and winds through thick reverb, echo and a multitude of vocal distortions. Die-hard followers of Twin Peaks will certainly recognize some of the same rudimentary blues twangs he and Badalamenti created for the show’s party scenes, but this is Lynch unfiltered and as absurd as ever. Not only is this the most singing we’ve heard from him, but it is also the most acting we’ve seen. Seemingly using the heavily processed vocals as a means of getting into character, Lynch croons out scenes that describe nightmarish backyard bacchanals to maniacal rantings of deeply disturbed, jilted lovers. The combination of eerily familiar sounds and chillingly discomforting vocals evokes such vivid imagery, you’d think you were watching a Lynch film, not just listening to his album. Crazy Clown Time opens with a killer track, featuring Karen O of the Yeah Yeah Yeahs. “Pinky’s Dream” is rough, ragged and raw, but is a bit of a curveball. If this song sets up any expectations, be prepared to be wildly confused as Lynch leads the listener down an entirely different road for the remainder of the album. Swaying from warm synths and fuzzy guitars to eerie echoing and bizarre helium falsettos, the record is wholly unpredictable. At its most self-indulgent moment, Lynch lectures the listener for seven minutes on positive thinking and inner peace in “Strange and Unproductive Thinking.” His voice distorted in a robotic tone, the track is very reminiscent of Radiohead’s “Fitter Happier,” but somehow just a little bit weirder. Though many of the tracks sonically have the foundation to be quite listenable, they can hardly be called “songs.” Largely lacking choruses, bridges or many chord variations, the tracks on Crazy Clown Time feel more like set pieces than anything else. The listener is invited to wallow in the atmosphere, not seek any purpose or direction. To those unfamiliar with Lynch’s directorial work, the record certainly won’t be attracting any new fans. To existing followers, however, the album is captivating in the same weird way as David Lynch’s films. They thrill us, they confuse us and we keep coming back for more.